Reports are an essential part of resource planning. In Ganttic, we've made it easy and flexible for you to use. Simply select your desired data labels to the grouping and detail levels for a custom-made report. 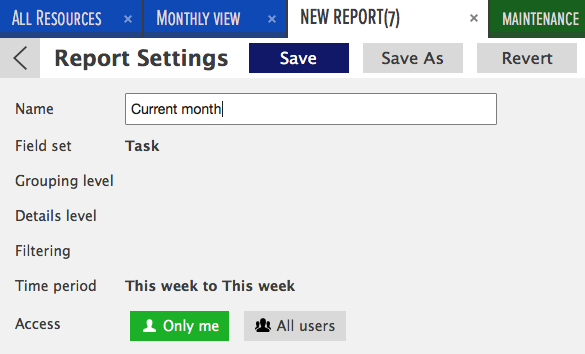 You can send out the reports that you save automatically. You can report any of the data fields that you have. You can use custom data fields for calculating hourly rates. 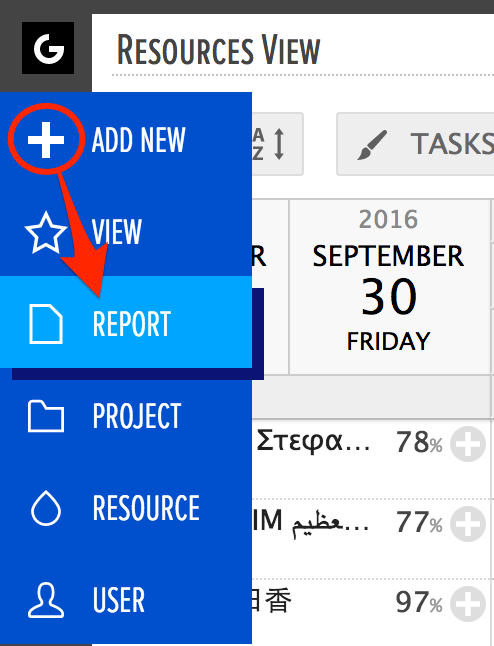 You can save reports, export it to CSV or PDF or print it out directly from the planner. A new tab will pop-up with Report Settings section already opened. Select if it's going to be a private or public one. Admins can see all private reports. Come back to Report Settings to save other parameters applied. Select an option from Fieldset. 'Task-driven' is applied by default. Resource-driven reports will build everything around resources. That means you'll see all resources, even when there's no data associated with them. This option is good to use if you need to have a quick look at who is scheduled and who is not in a specific time frame. Project-driven reports will build everything around projects. All project-related information, whether scheduled or not, will be displayed. This option is good to use if you need to have a quick look at all projects to determine which ones are running/active and which ones are not used/inactive. 'Data fields' section is where you'll find the data you can add to your reports. Data fields are categorized into Task Data, Project Data, Resource Data, and Calculations (explained below). 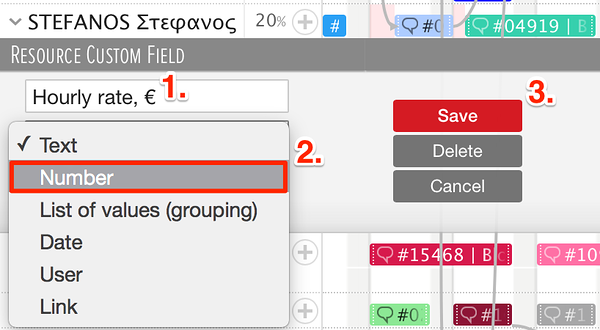 Drag and drop the data fields to the Grouping level you want data to be grouped by in the report. Details level is where you will drag and drop data you want to be displayed in a form of a table in addition to grouping labels. Depending on what kind of layout and sorting you need for the report, you can use both or only one of them. This will confirm the data fields that the data will be grouped by and the data that will be in the details level. The left calendar is for the period start, the right calendar is for report period end date. In custom data fields, one of the data types is 'Calculations'. 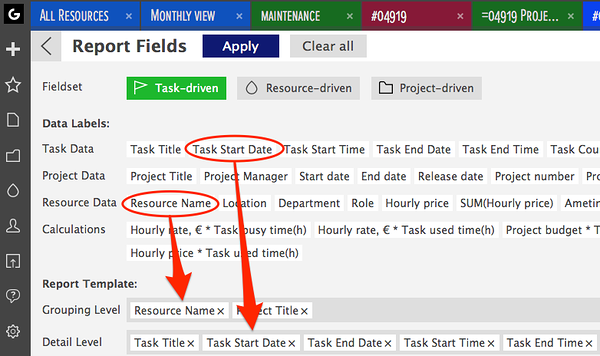 This section gives you options to calculate numerical values in association with your tasks' Busy Time in reports. Only limited to resources and projects, this feature is perfect for a number of uses. For example, if you set Roger's hourly rate as €50, the report will calculate how many hours he has worked (Busy Time) and provide you with a number of how much to pay him for the duration of the report. 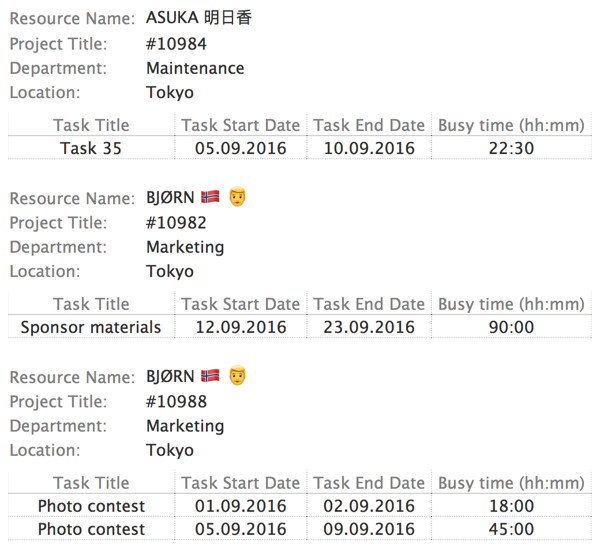 You can see Hourly rate, € * Task busy time(h) field among others. 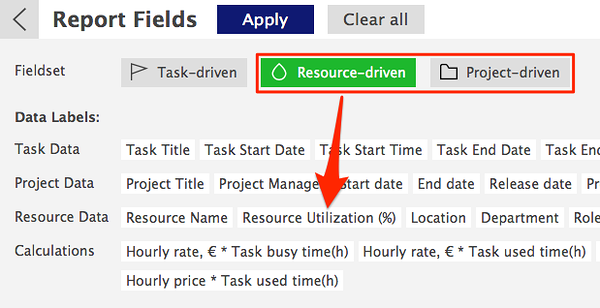 Please note 'Hourly rate, €' is a 'Number' type resource custom data field. 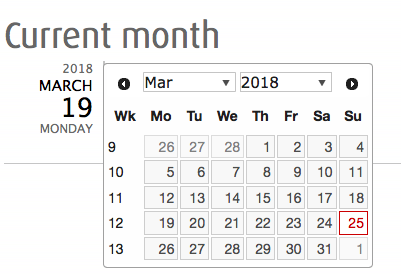 This new feature is not an extension but developed as a default feature in Ganttic's planner. This will open the custom data fields editing dialog. Don't forget to click on 'Save' once you are done. The value you enter will be used for calculations in the report. You'll see that there's a new data label named 'Hourly rate/hr X Task busy time(h)'. Click on 'Apply' to generate a new report with the calculations. These options will calculate values only for resource- and project-driven reports. Make sure to apply these before generating the report. Did not find the answer to your question regarding creating reports?